Design a shot glass for that lucky groom's bachelor party...lucky?...meh, sure. Get shots for all the guys since group discount will get the next round for the six of you and help cut some of the cost. 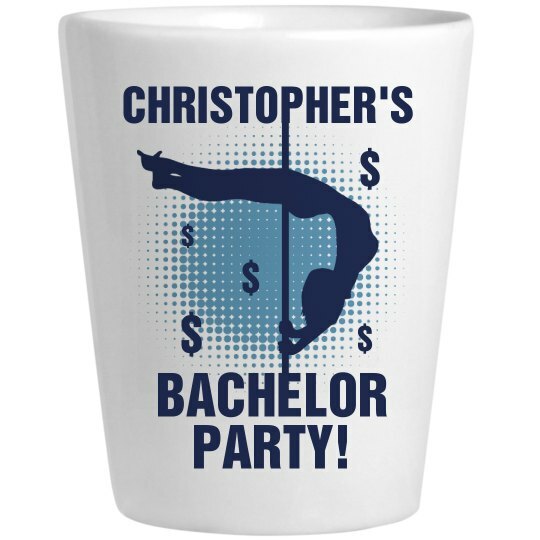 Custom Text: $ | $ | $ | $ | $ | CHRISTOPHER'S | BACHELOR | PARTY!